The high level of integration between The School of St Yared and the communities it serves is reflected in the focus of the school's curriculum and pedagogy. Whereas public education in Ethiopia often relies on rote learning, with little correlation between subject matter and application, St Yared's forges a meaningful connection and dynamic exchange between what is learned in the classroom and students' lives outside of school. St Yared's core philosophy that all of its students have the potential to achieve their hopes and dreams has cultivated great agency among them. In contrast to many of their peers, the St Yared's students are vibrant and full of curiosity, and are impacting their community in remarkable ways. This bridge between school and community is intentionally developed in the classroom, where teachers create forums for children to discuss the challenges of home life. 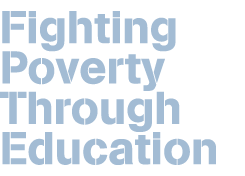 Topics such as personal hygiene, sanitation and disease (particularly HIV) are regularly addressed. The curriculum also places great emphasis on critical thinking and problem solving, skills that are rarely promoted in other educational settings. As a result, St Yared's students are actively engaged in discovering creative solutions for the situations they and their communities face. This is manifested in a variety of ways. 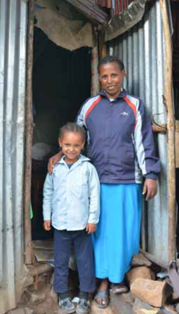 When School Director Yared Wolde noticed that eight-year-old Samrawit Gebre- Tensay was taking small pieces of chalk home with her, he was intrigued to find out more. One afternoon, Yared decided to walk home with Samrawit, and he was astonished by what he discovered: text and numbers scrawled all over the walls of her house! "My mother is illiterate. She has never gone to school. 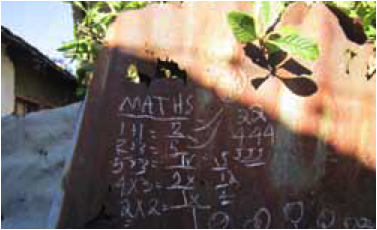 I am teaching her to write and read, and do maths." Through her young daughter, Samrawit's mother learned enough basic skills to enable her to read and sign documents at the local government office. Tensaye says her daughter's education changed both their lives. Because of her afternoon lessons, Tensaye has been able to set up a popular stall trading fruit and vegetables at the local market. Tensaye says she now feels independent for the first time, and that the extra money she earns will one day pay for Samrawit to go to University. Ababech Adugna, aged 10, is the eldest of four children in her family. Through classroom conversations, she became aware that her family members were falling ill more often than others. 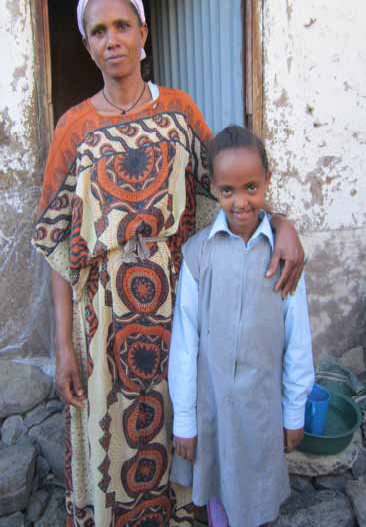 Having studied hygiene at school, Ababech was curious to see if she could identify the cause. By observing and enquiring about household habits, she discovered that the water used for the family's drinking and cooking needs was drawn from a nearby stream, which was polluted with household and bodily waste. Ababech instructed her mother to boil all of the water taken from the stream before use, and called a meeting of the whole family to ensure that everyone in the household, including her youngest sister, washed their hands meticulously after bathroom visits and before preparing or eating food. Noticing the gap between her school experience at St Yared's and that of many other children in her community, fourth-grader Bethlehem Addisu decided to take matters into her own hands. Every day after school, she gathers up to 16 other children and shares what she has learned. In her own words: "I study very hard at school, and after school I teach the other kids in my neighbourhood. I don't get tired because I love learning."